Cool dishes from Macaroni Grill Gaithersburg, originally uploaded by shashiBellamkonda. i love Macaroni grill and today i had a great lunch at the Gaithersburg Romanos Macaroni Grill. 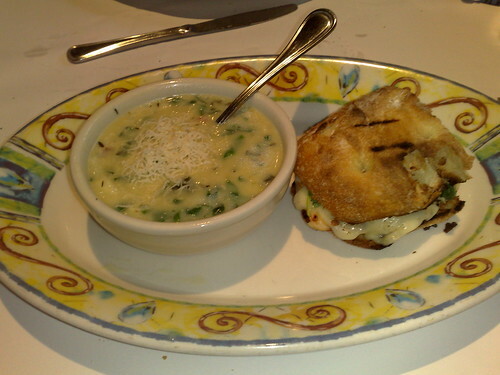 This is Chicken Toscana Soup with Chicken and Artichoke sandwich.